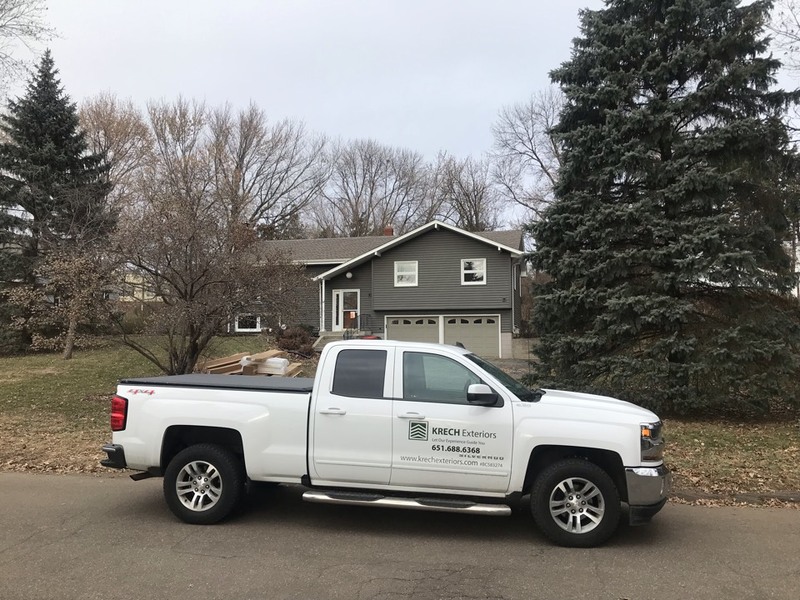 rech Exteriors, in business for three decades, specializes in home improvement in Inver Grove Heights and throughout the rest of Minnesota, transforming your property into a more energy efficient, attractive one. With a goal of 100% satisfaction when it comes to your comfort, we work with you every step of the way. This is illustrated by the fact that we enjoy an A+ BBB rating and GAF Master Elite status. 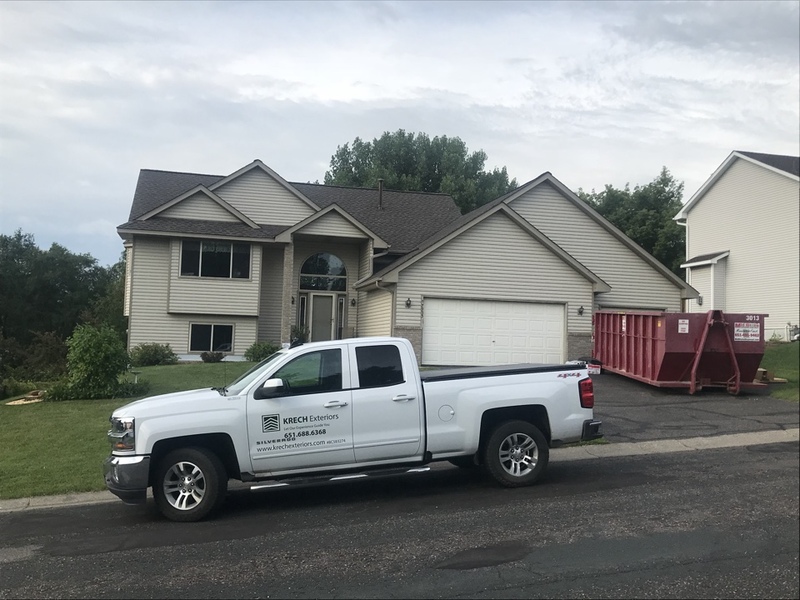 Let our contractors apply their skills and expertise to perform quality roofing, replacement windows and siding in Inver Grove Heights, MN — city of 33,000 located in Dakota County and part of the Minneapolis-St. Paul metro area. 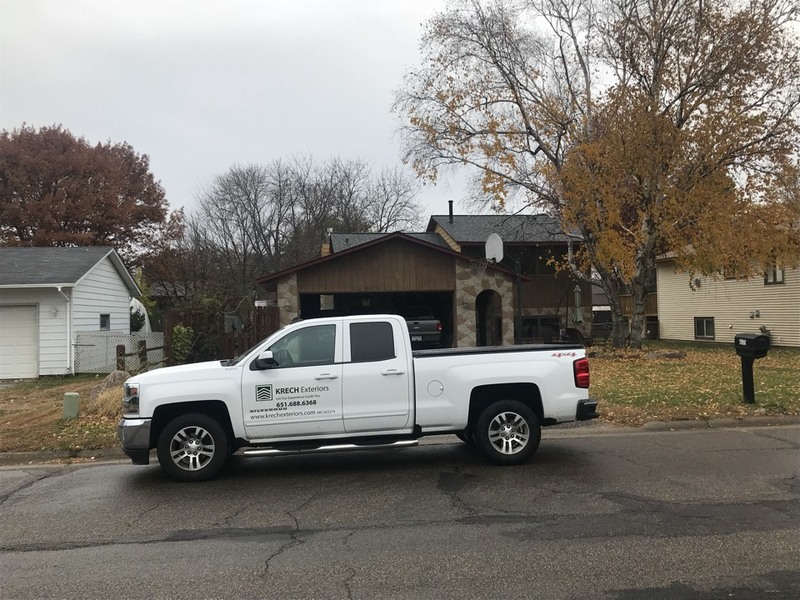 Instead of picking just any old contractor, go with a company that uses its own screened contractors on every installation project, trained on a regular basis in the latest techniques, construction materials and methods. Customer service is at the top of our list, which is why we treat you with respect from start to finish. 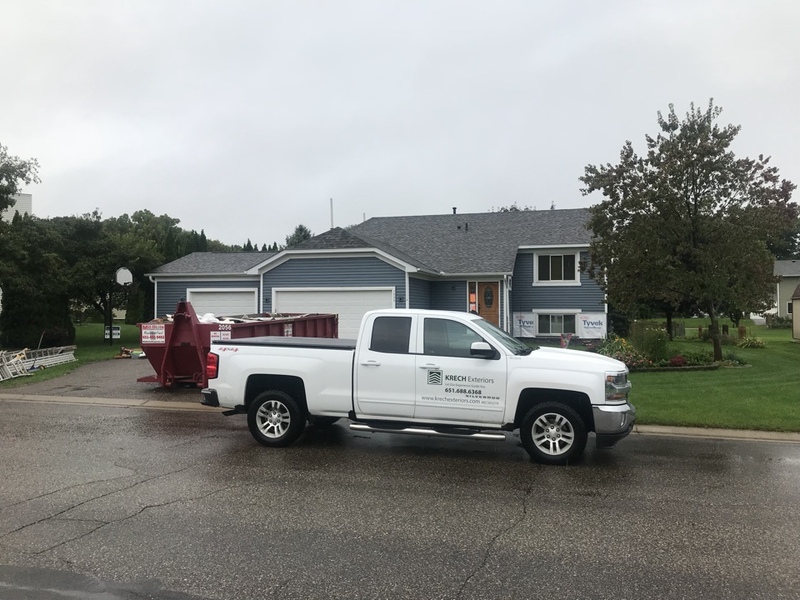 From the time you call us to the time we finish up the work, our team values communication so we can answer all questions and respond quickly to your requests. 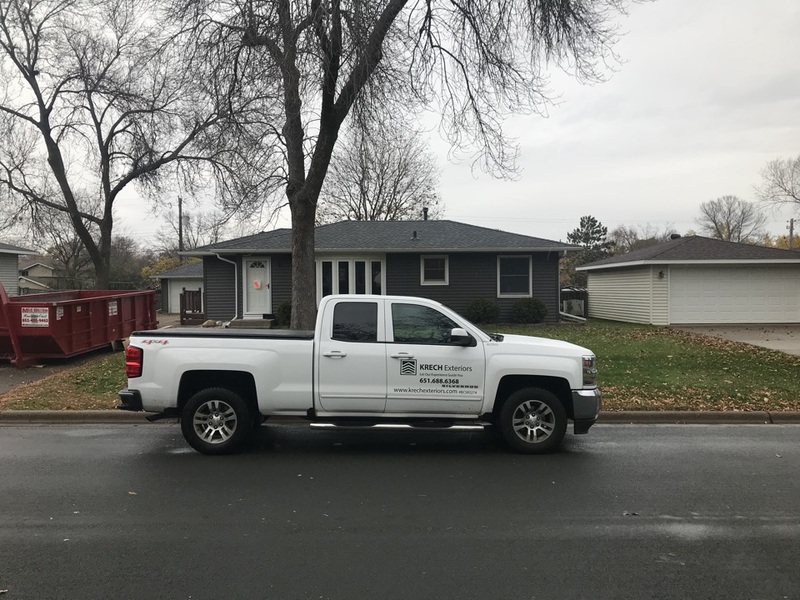 Our contractors are proud of their work, which is why we offer quality workmanship guarantees and long-lasting product warranties. 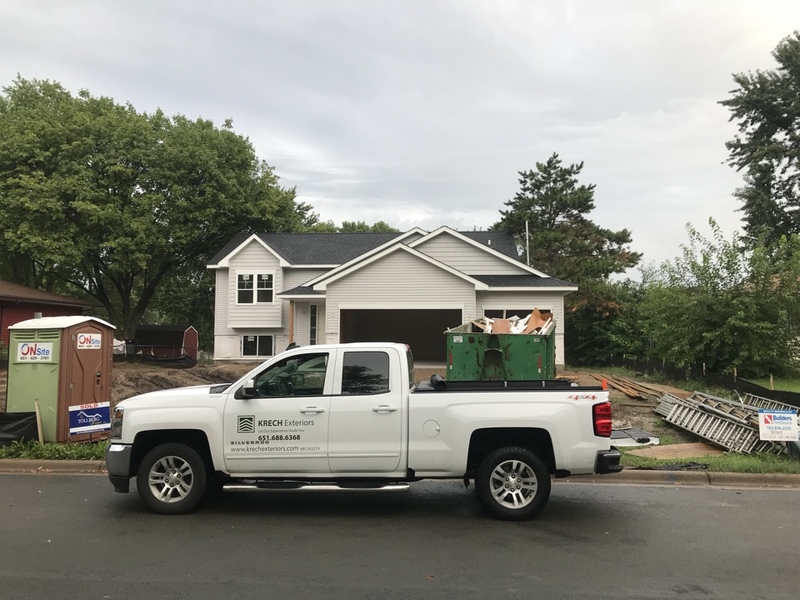 It’s our pleasure to work only with the best names in the industry: GAF, CertainTeed, Alside, Andersen and James Hardie, just to name a few. 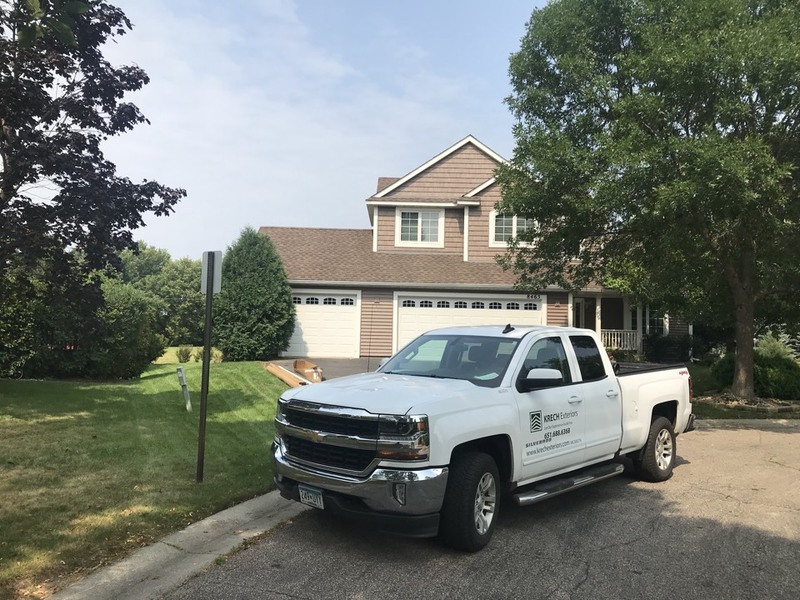 A free estimate and in-home consultation from Krech Exteriors can be yours when you contact Krech Exteriors at 651-688-6368. For your convenience, you can also complete our online “Request a Quote” form for more information. Alside Charter Oak- Energy Elite lap siding on all four elevation. Custom wrapped fascia on entire home and 4 beams on the front elevation under the soffit. Aluminum soffit. Alside Charter Oak vinyl siding remodel. 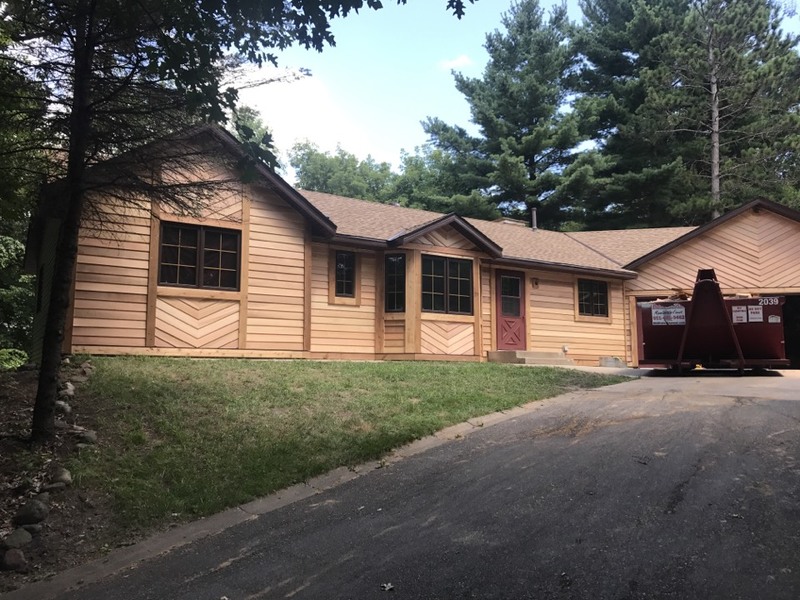 Vinyl lap siding on all elevations. Custom wrapped window on door trim at all openings. Steel soffit and fascia throughout. Timberline HD Pewter Gray roof. 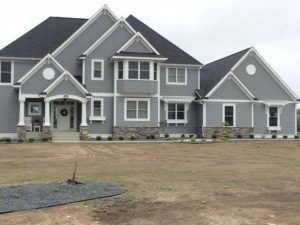 Mastic vinyl lap siding and board and batten on all four elevations. Board and batten installed on the side and front gables. 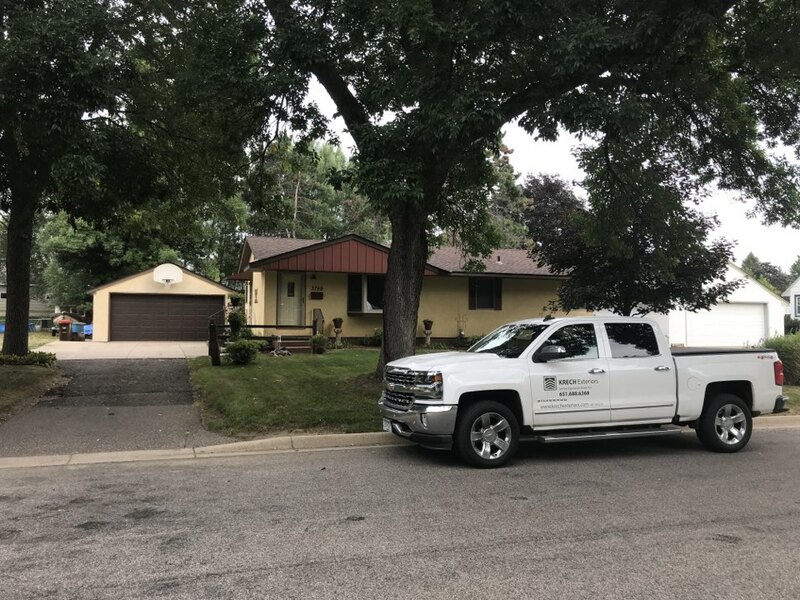 LP Smartside trim installed around all windows and doors on entire house, also used as a transition board between the lap siding and the board and batten. 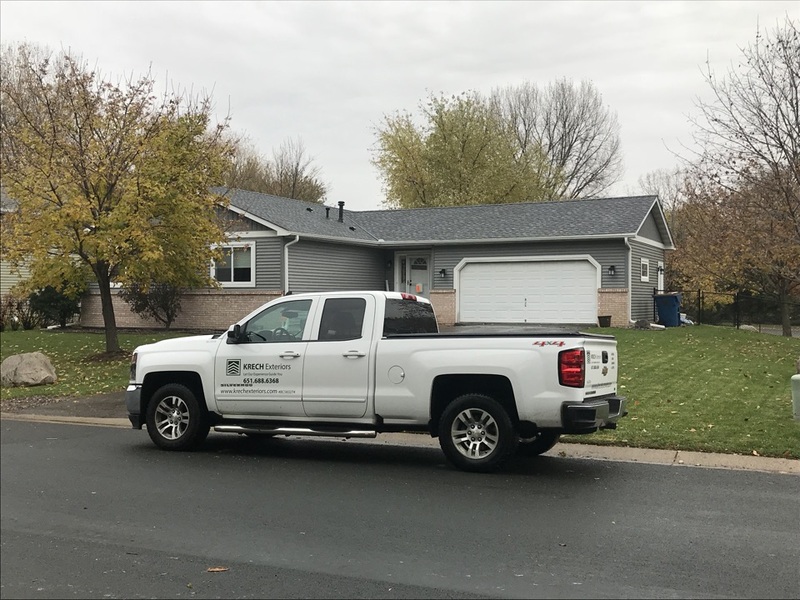 New GAF Timberline American Harvest roof. Complete aluminum soffit and fascia on entire home color of Brandywine. Alside Charter Oak vinyl remodel. 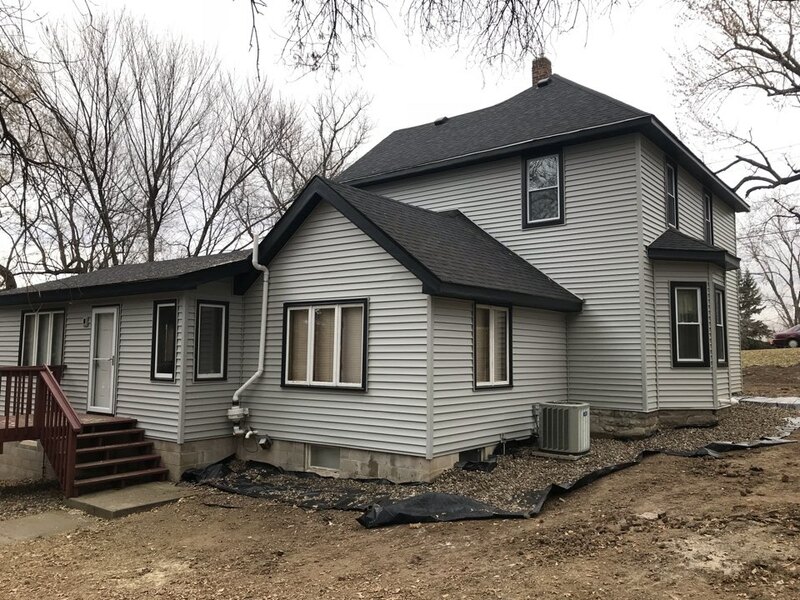 Lap siding on all four elevation, along with the detached garage. Multi-family vinyl new construction. 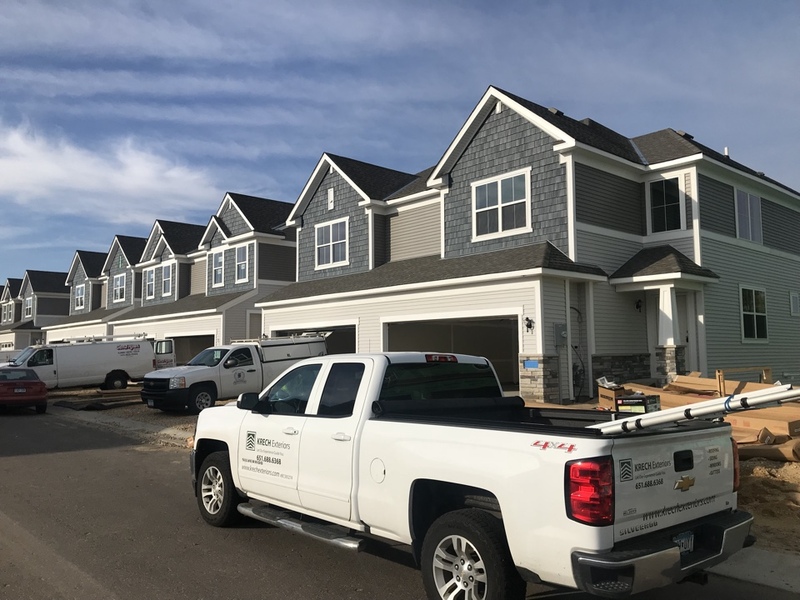 Vinyl lap siding on all four elevation. 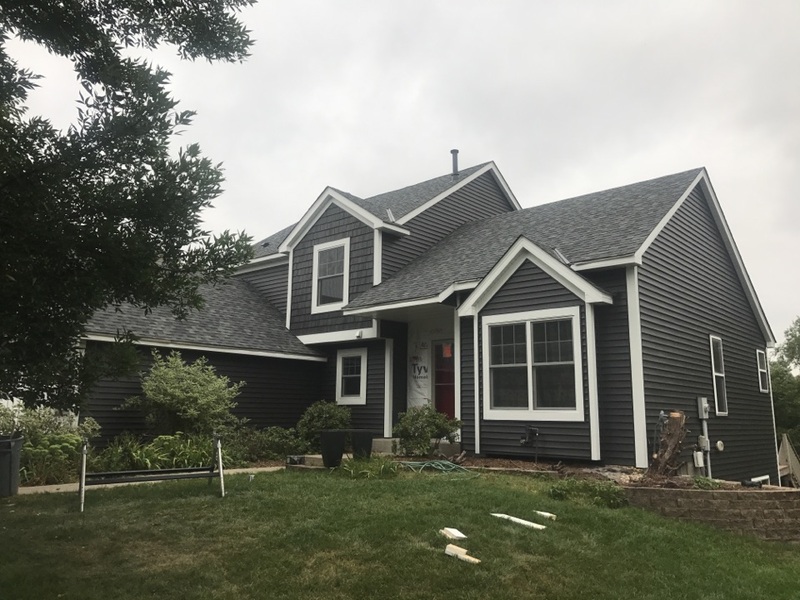 Front elevation has vinyl lap siding with shakes in the front gables. All windows and doors trimmed out with LP Smartside trim. Aluminum soffit and fascia. Alside Charter Oak vinyl lap siding on all four elevations. Color Harbor Blue with white outside corners to accent the siding color. Front elevation windows are trimmed with LP Smartside trim. Vinyl new construction. Vinyl lap siding on four elevations. Vinyl shakes on the front bay window bump out and over the third stall garage. LP Smartside trim over both garage doors, front entry door, and at the base of the window bump out. Aluminum soffit and fascia. Complete vinyl remodel. Alside Charter Oak lap siding on all elevations. Alside Perfection Shingle Shake in two front gables, with cedar window and door trim on front elevation. Vinyl remodel. Alside Charter Oak Dutch Lap vinyl siding on all four elevations. Monterey Sand color lap siding with Tuscan Clay outside corner posts and J channel around all windows and doors.